Running a multi-author blog is a big headache. You need to take care of a lot of things like site permissions access permissions and what not. Presenting a new plugin called "File Upload Support For Contributors" that aims at removing one of your headaches involved with managing file upload capability for bloggers who have the contributors permission. This is a very simple plugin with options of activating and deactivating the plugin. 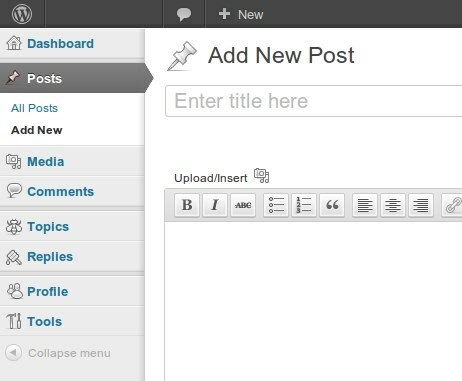 When you want all the contributors on your blog to be able to upload files, simply activate the plugin from the WordPress Plugins manager. Your bloggers having the Contributor's permission on your blog will now be able to upload files and attach them to their blog posts. Similarly, it is very easy to remove the file uploading support as well. Simply deactivate the plugin from the wordpress plugin manager and the contributors on your blog will not be able to upload or manage images on the blog. If you have any problems using this plugin, then you can directly contact us via mail: mailman [at] digitizor [dot] com or leave a comment below. If you are looking for any wordpress related development work then do get in touch with us: [email protected] or leave a comment below.